In many AVBCW scenarios and games tables is a church. Unlike reality they are rarely circled with a graveyard. So I have determined to resolve that. I bought a pack of the Renedra gravestones. The set should do four of these bases (7×6″) to give a good amount of open space that is not plain green grass, provides some cover and makes the scenery, ahem, come alive. It will also make the Church much more of an objective, with plusses and minusses for the various factions to use and abuse. I’ll add some flowers to the next couple of pieces. Of course this meant I wondered what a Russian graveyard looks like for my RCW/BOB games…. 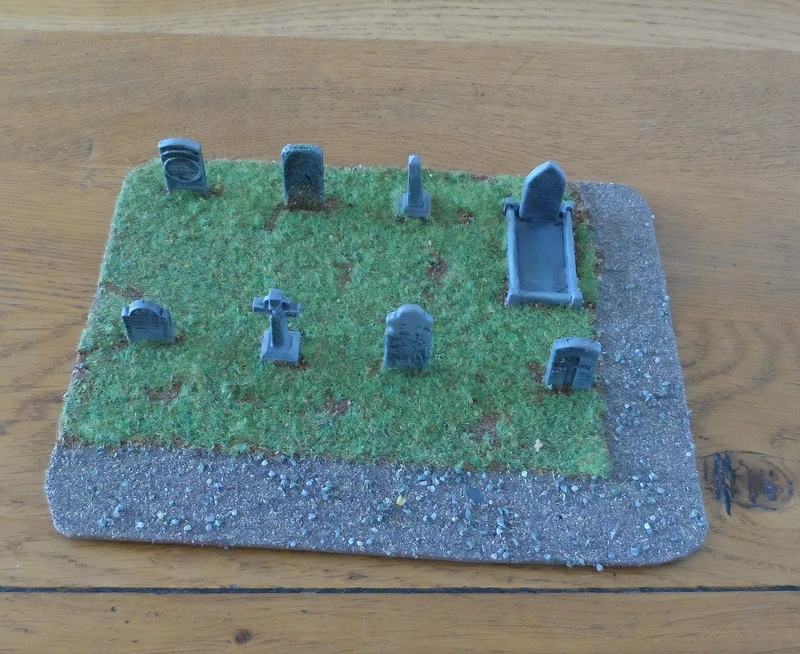 This gravestone set is one of the most useful modelling purchases I’ve ever made, it’s all over my Vampire Counts project, and parts of it even appear in this month’s “Warhammer Visions” magazine! 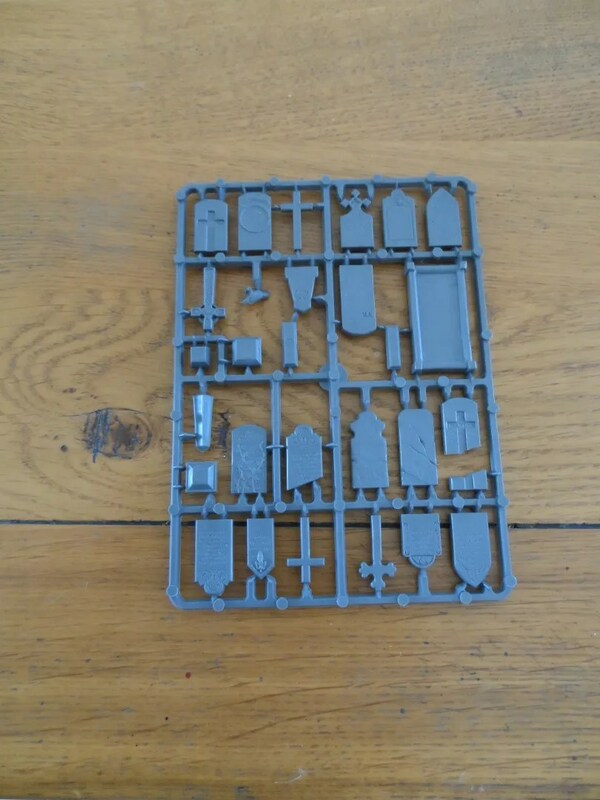 As long as there are no AVBCW zombies I think it will be a fantastic addition to any table the sections grace. Bravo! Do I assume you haven’t seen the excellent Dead Snow…Nazi Zombies, and yes Mantic & Warlord did a set of plastic German Zombies for Weird War 2…. A day at the beach, part 2.